In the south of Vendée, La Tranche sur Mer looks out across the Atlantic towards the Ile de Ré. 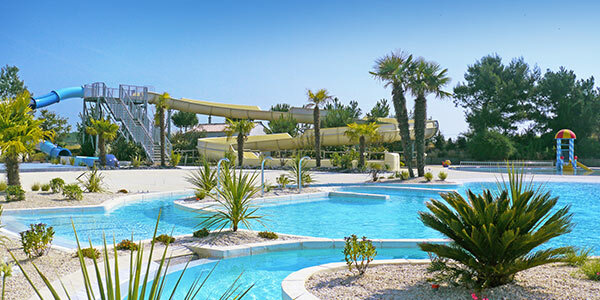 The lively, fun atmosphere of the resort town can also be felt at Les Blancs Chênes campsite. An outstanding setting, modern facilities and a wide range of activities will give your holidays a dynamic, friendly tone. Fine sandy beaches, invigorating waves, no noise, peaceful pine trees... just some of the things you'll enjoy in La Tranche sur Mer. You can indulge all you like: Le Bellevue has access to the beach (900m) and is in the cool shade of a pine forest. Unwind at your own pace. A camping holiday on l'Ile de Ré ? A real getaway ! 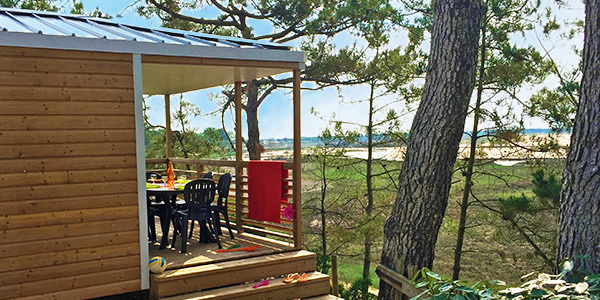 Vagues Océanes offers mobile homes for 6 pers, 2 bedrooms for camping holiday rental on the Island of Re, in the Charente-Maritime.